Game Developers Conference organizer Think Services announced several speakers and sessions for next year's GDC event, to be held in San Francisco's Moscone Center from March 23 to 27, 2009. As part of the Game Design track, Lionhead Studios CEO Peter Molyneux will present 'Lionhead Experiments Revealed', a lecture on a range of experimental ideas and technologies at his company, and how they might might be incorporated into new Lionhead projects. Other highlighted design sessions include "Dirty Deeds Done Dirt Cheap: Design Lessons Learned from Rock Band" with Harmonix senior designer Dan Teasdale, and "Player's Expression: The Level Design Structure Behind Far Cry 2 and Beyond?" with Ubisoft's Jonathan Morin. Other notable speakers in the Production track include Maxis producer Caryl Shaw on 'Spore: Fulfilling the Massively-Single Player Promise - How'd We Do? ', Bungie producer Allen Murray presenting "a brutally honest look at the evolution of production at Bungie from Halo-s 1 to 3". Next yearâ€™s 9th Annual Award Ceremony, will be hosted on March 25th, 2009 in the Esplanade Room in the South Hall of San Franciscoâ€™s Moscone Center, as part of Game Developers Conference 2009. 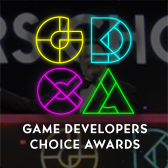 The 9th Annual Game Developers Choice Awards has launched a call for nominations for its three Special Awards, including Lifetime Achievement, Pioneer, and Ambassador Awards, with nominating power for Gamasutra members. 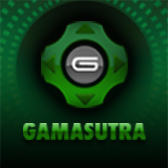 Voted on entirely by game professionals, next yearâ€™s 9th Annual Award Ceremony will be hosted on March 25th, 2009 in the Esplanade Room in the South Hall of San Franciscoâ€™s Moscone Center, as part of Game Developers Conference 2009. There is so much going on around here these days, I donâ€™t even know where to start. I knowâ€¦reverse chronology! Let me take you on a journey to the future. Picture it: October 11, 2009, Shanghai. Do you see it? Are you there? Youâ€™ll know because youâ€™re at GDC China. Thatâ€™s right -- we launched GDC China back in 2007, ran into, letâ€™s call them 'hurdles' in 2008, and are forging our way back in 2009. Keep your ears and eyes open for more information. The first GDC China exceeded all expectations -- and without sounding too cheerleadery, I predict the second one will be even better. OK, now stay in the future, just in the not-as-distant one. Picture it: August 17, 2009, Cologne. Thatâ€™s right, GDC Europe. Now this gets a little complicated, see if you can stay with me. GCDC, run by Frank Sliwka, was the developer event that was co-located with Games Convention in Leipzig, Germany. Frank is now going to run GDC Europe, which is being presented in conjunction with gamescom in Cologne and is supported by BIU, the largest European publisher trade body. GDC Europe will be a truly pan-European developer conference and will follow the model of the GDC in San Francisco. Last but by no means least is GDC Canada. Vancouver. May 2009. Be there! Organizers for March 2009's GDC Mobile summit have revealed a focus on emerging platforms such as Appleâ€™s iPhone and Googleâ€™s Android, as well as initial speakers from EA and Indiagames, for the mobile-specific game event taking place on the first two days of GDC 2009. The GDC Mobile conference (created by Think Services) gathers creators, publishers, technology providers, handset manufacturers, and distributors to discuss the future of the medium. 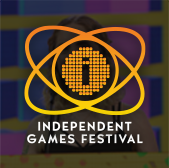 The organizers of the 2009 Independent Games Summit have announced initial speakers for the March 2009 GDC-included conference, including notables from 2D Boy (World Of Goo), Stardock (Sins Of A Solar Empire), and more. "When Ron Carmel and his business partner Kyle Gabler formed 2D Boy and started making the IGF award-winning World Of Goo, they knew a bit about game design and programming, but hardly anything about the business aspect of making a game... Having published on Wii/WiiWare and PC both physically and digitally in multiple territories, Carmel explains how they managed it, with plenty of real-world numbers plugged in."